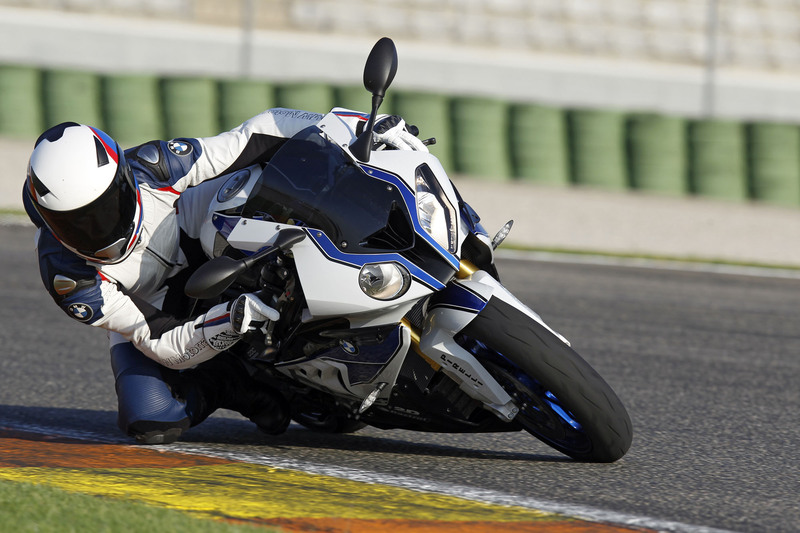 The BMW S 1000 RR gets in society in the supersports range. BMW developed the BMW HP4. It is a High Performance recreation and an expansion of the HP-series, now with a four-cylinder inline-engine instead of a boxer engine like the other HP-models. According to BMW, the HP motorcycles are something very special and will always remain comparatively scarce. This is due to the excellent materials and the entire driving dynamics and technology, which is totally designed to perfection. As template for the designers and planners the much praised BMW S 1000 RR served as a basic-model for the new four cylinders. True to the motto: "It's always about to make something better", there was spared no expense, except the weight. With 199kg with 90% full fuel tank and 169 kg dry weight with Race ABS is the HP4 unbeaten in the 1000 super sport-class. Beside the homologation for the use on the race track an in motorsports, is also the optics designed for this. Included in the package is a standard pillion seat cover. Motorcyclists, who like to travel with a passenger, can get the passenger package as ex works option with passenger seat and the passenger footrest system. A Novelty in the Motorcycle-Sector is also the Dynamic Damping Control DDC as standard. It causes the dynamic damping of the fork and the suspension to the current driving situation. Thus, the maximum traction and safety is achieved. For increasing the security serves also a new braking system with monoblock brake calipers by Brembo and 9x floating brake discs at the front. The super sports oriented Race ABS was even more improved. You can choose, as before, between the modes "Rain" for wet surfaces, "Sport" for the street, " Race" for use on the race track with super sports tires and "Slick" for the use of slicks. An improvement is also the DTC (dynamic Traction Control, which was used at previous motorcycle models. In the Slick-Mode it is impossible to make fine adjustments while driving to achieve the maximum traction. The rear wheel has now the dimension of 200/55 ZR 17. A further novelty is the Launch Control, which ensures the best possible start of the motorcycle and prevents the adverse rising of the front wheel. It exists also a shift assistant as standard, which reduces the switching time significantly. 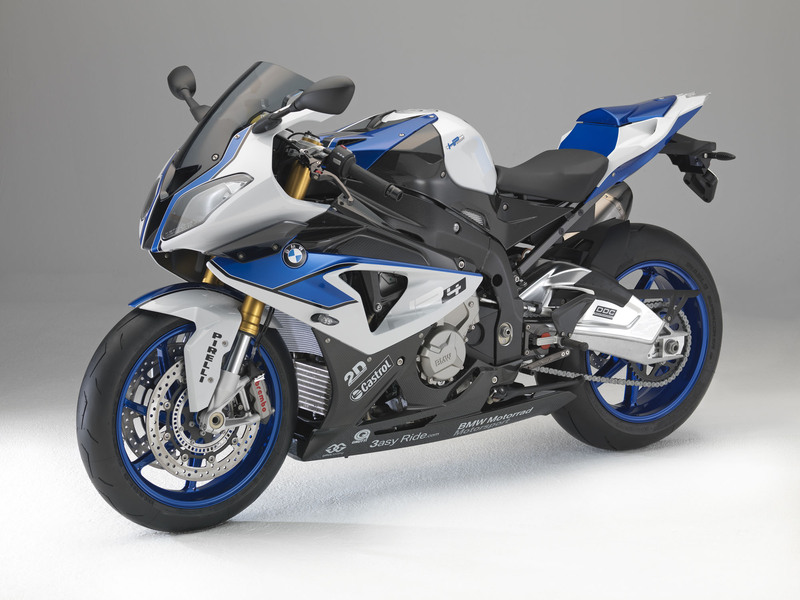 In terms of performance, the new BMW HP4 is at 142 kW (193 hp) at 13 000 min-1 (maximum speed of 14 200 min-1) and a maximum torque of 112 Nm at 9750 min-1. An increase in torque is given in the range 6000 min-1 to 9750 min-1 and in the Rain mode power and torque running more smoothly between 2500 min-1 and 8000 min-1. In all setting areas at the HP4, the whole extent of power can be used. A further factor of the performance improvement is the weight reduction by 7-spoke light alloy wheels, a lighter sprocket carrier and the full-titanium exhaust system, which improved by some refinements also the torque curve. BMW naturally placed great value on the perfect equipment. The cockpit has new dials with HP4 lettering and an extended display with DDC-Setup-Menu, information about the DTC-fine adjustments and the activation of the Launch Control. Externally, the HP4 scores with the matching Super sport and race appearance, which is emphasized by the extended, two-piece engine spoiler and the tinted windshield. Inconspicuous but high-quality LED indicators are lined up well into the elegant overall picture, as well as the laser-engraved HP4 logo with its own serial number on the upper fork crown. The coloration impressed with the multi-color paint in Racing Blue metallic / Light white uni. A high level of finesse and quality can be additionally achieved by the Competition Package. It contains exquisite carbon fiber parts with a long, closed HP carbon engine spoiler, an adjustable HP driver foot rest system, folding HP brake and clutch levers as well as Racing Blue Metallic painted wheels and a sponsor sticker kit. 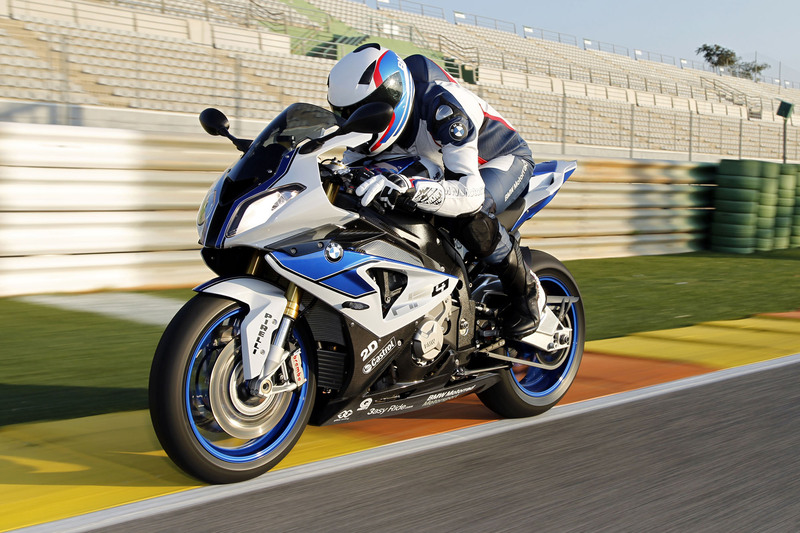 The presentation of the new BMW HP4 motorcycle is in 2012.